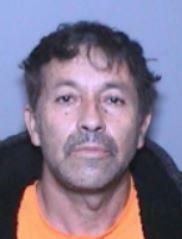 On December 4, 2018, Santa Ana Police investigated child molest allegations involving three sisters that claimed they were sexually molested by Jesus Heras Garcia, 55 years-old, when they were between the ages of seven to eleven years-old. The victims, now in their late teens to mid-twenties, met Garcia through their church. Garcia was a volunteer at the Case de Vida church in Corona and a close family friend to the victims. All of the victims said the abuse occurred away from the church.